A quality violin could help you develop your inner skills in playing such instrument. This holds true whether you are still a beginner or you are already a professional player. The quality of the violin could high affect your performance. And such quality comes in every brand of violin on the market. Because of this, you should purchase the right model from the best brand. Here enters the best Kennedy violins.Kennedy is a household name when it comes to making violins. It provides you instruments with a stunning sound and tone. However, you should be mindful of the appropriate model that would be based on your preference. Since there are a lot of models of the said brand, you may find it difficult to choose the perfect violin. On this article, we are going to guide you in identifying ten of the best Kennedy violins on the market. One of the first things that you should do before you purchase a Kennedy violin is to identify the features which an ideal model should possess. This way, you will be sure of a quality instrument that you could use for practice or performances. Here are some of the features that you should look for when selecting the best Kennedy violins. One of the first things that you should consider before buying a violin is its construction. You have to make sure that the Kennedy violin that you will buy has a robust construction. Therefore, the violin that you choose should not have any seam or crack on any part of it. In addition to this, you should not hear any creak when you gently apply pressure on to the said violin. The second thing that you should take note of is the wood which was used. Usually, quality violins are made of spruce wood for its top. On the other hand, maple wood is used for its sides and back. Ebony is also an essential wood used in various parts of the violin. It is worth noting that the quality of the wood affects the tonal quality of the Kennedy violin. These are just a few of the things that you should consider before picking one from the best Kennedy violins. It is worth noting that knowledge of its key features will actually make your job of choosing the most appropriate instrument easier. The first product on our list is the Ricard Bunnel G2 Student Violin Outfit. It is handcrafted using solid maple and spruce tone woods, a hundred percent genuine ebony fittings, and an oil finish. It has already been completely set up so there is no need for you to assemble it. You could play this violin the moment you open the case.The outfit includes everything that you need to start playing. 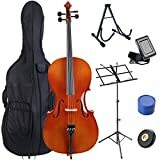 These include a genuine Brazilwood bow, rosin, a robust case, a digital clip-on tuner, Portland Gold, shoulder rest, an Intro to Violin book, and D’Addario Prelude strings. The next product on our list is the Bunnel Premier Clearance Student Violin Outfit. It has been handcrafted with solid maple and spruce tone woods. In addition to this, it also possesses 100% genuine ebony fittings and oil finish. Since it has already been setup completely, you do not need to assemble it. 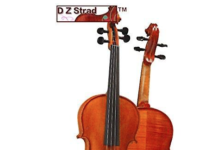 Clearance violins such as this product produces a quality sound despite some minor cosmetic imperfections that do not really affect the playability or the sound in any way. The Bunnel Pupil Student Violin Outfit has been handcrafted with solid maple and spruce tone woods. It also possesses 100% genuine ebony fittings and oil finish. It has already been completely set up so there is no need for you to assemble it. You could play this violin the moment you open the case.The outfit includes everything that you need to start playing. These include a genuine Brazilwood bow, rosin, a robust case, and D’Addario Prelude strings. The Bunnel Premier Student Violin Outfit is made of solid carved maple and spruce tone woods. It also consists of ebony pegs, fingerboard, and fittings. Its maple bridge is also hand-carved and custom-fit. It has already been completely set up so there is no need for you to assemble it. You could play this violin the moment you open the case. 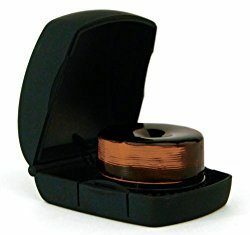 The accessories that come along with it include rosin, extra strings, Brazilwood bow, and digital clip-on tuner, among others. The last product on our list is the Ricard Bunnel G1 Violin Outfit. It is handmade using naturally dried maple and tight-grained spruce woods. It has four professional grade fine tuners found on a composite tailpiece. It also consists of a high-grade maple bridge and high-grade ebony fittings. The fittings, in particular, include a polished fingerboard and a set of pegs. It has already been completely set up so there is no need for you to assemble it. You could play this violin the moment you open the case. The Bunnel Premier Student Violin Outfit Full Size is another great choice for you. It is made of naturally dried maple and tight-grained spruce woods. Its handmade construction guarantees durability and strength. It features an oil finish which adds to its attractiveness.This violin has already been completely set up so there is no need for you to assemble it. You could play this violin the moment you open the case. This outfit features their specially designed hard shell case. The Louis Carpini G3 Clearance Violin Outfit features solid-carved and beautifully figured maple and spruce tone woods. It also consists of ebony fingerboard, pegs, and fittings. Its French Aubert bridge is handcarved. Its string height has been precisely measured for comfortable playability. It has already been completely set up so there is no need for you to assemble it. You could play this violin the moment you open the case.Clearance violins such as this product produces a quality sound despite some minor cosmetic imperfections that do not really affect the playability or the sound in any way. Many violinists recommend Kennedy violins because of their quality construction and their unique features. The said brand has been used in various performances and rehearsals. 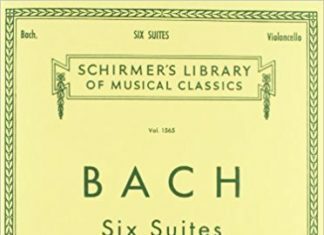 However, you should note the best Kennedy violins have several differences that would distinguish one from another instrument. It is then essential to note their features so that you could arrive at the most appropriate model based on your personal preference.